A new Alien Isolation-inspired game is coming to mobile in the shape of Alien: Blackout. The game, being developed by D3 Go!, FoxNext Games, and Rival Games stars Amanda Ripley as the player tries to guide her to safety from a pesky Xenomorph. The game will be available on iPhone and Android from January 24. You wouldn’t think this was a mobile exclusive title when you watch the teaser trailer. Coming in at just over 30 seconds, there’s not much given away about the gameplay, except that Alien: Blackout looks set to push even the most high-end of phones and tablets to their limits. The teaser only shows Ripley on-board an abandoned Weyland-Yutani space station before the shadow of the alien creeps into view. It’s all we get, but in that time, what we see looks pretty slick. We aren’t certain that what’s shown in the teaser trailer is representative of the actual game or just what the gameplay will be comprised of. 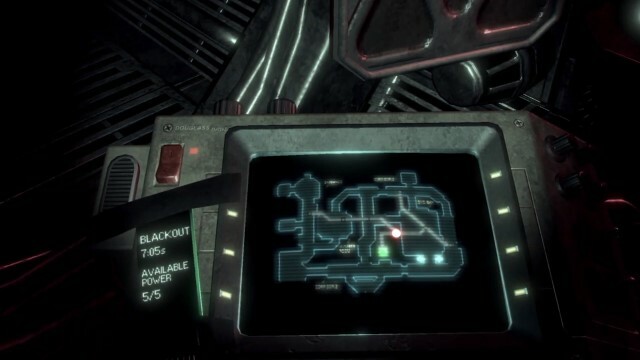 The trailer shows the game as a first-person ordeal, with a timer counting down to the next “Blackout” as Ripley switches between camera feeds of the station. Whether players will be able to move around the space station or if they’ll be stuck in one spot–possibly due to fear-induced paralysis–remains to be seen. Though pretty much everything the trailer shows is heavily reminiscent of Alien Isolation, which begs the questions as to why the game isn’t making its way past mobile devices to launch on home consoles as well. It seems that fans aren’t too happy about the platform exclusivity for Alien: Blackout‘s teaser trailer. At the time of this story, the trailer had been live for a few hours before being taken down and republished, garnering over two-hundred dislikes in that time. Many of the comments are drawing parallels between Alien: Blackout and Diablo: Immortal, an upcoming mobile game that irked a number of fans when it was announced.